Whether you’re trying to eat less carbs or just love lettuce wraps because they’re delicious (not to mention, healthy! ), you’re going to love these Asian Chicken Wraps. 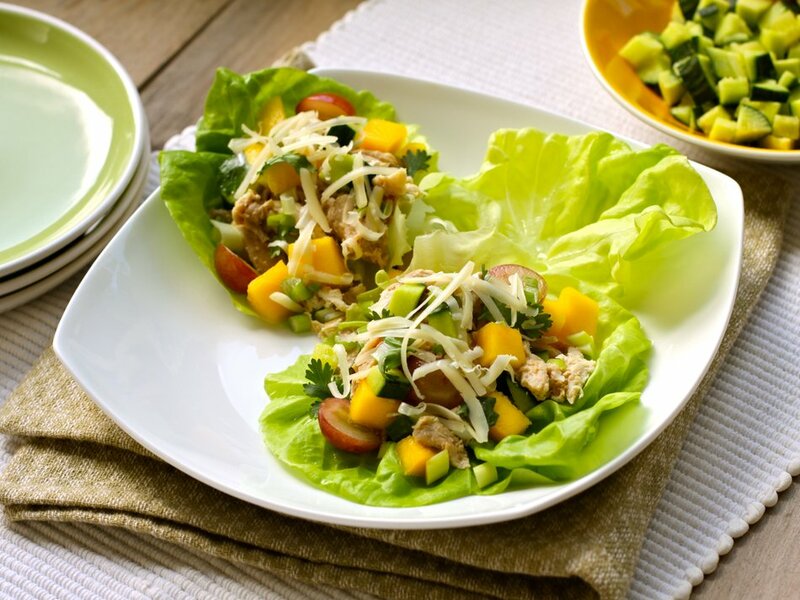 Bibb lettuce is stuffed with a flavorful combination of shredded chicken coated in a tasty homemade dressing, chopped cucumber, diced mango, grapes, scallions, fresh cilantro and Cabot Sharp Cheddar. This recipe makes 6 appetizer servings, but you’ll soon find yourself making these for snacks and lunches - they’re that addicting! Be sure to share the recipe for these Asian lettuce wraps with chicken with your family and friends on Facebook, Pinterest, Twitter or Instagram. Combine the rice vinegar, olive oil, mayonnaise, soy sauce, chopped fresh ginger, minced garlic and Asian sesame oil in a blender. Blend until smooth and refrigerate until serving. To assemble the Asian lettuce wraps, in a small bowl, combine the shredded chicken with about 3 tablespoons of the dressing. Divide the chicken mixture among the Bibb lettuce leaves and top each with some chopped cucumber, diced mango, grapes, scallions, fresh cilantro and grated Cabot Sharp Cheddar. Roll up to form wraps and enjoy! Love lettuce wraps? Be sure to try our Cheeseburger Lettuce Wraps, made with your choice of ground turkey or ground beef. 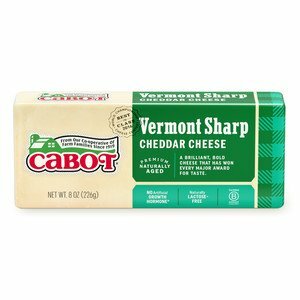 Cabot is a co-operative of over 1,000 farm families and we work hard to produce our award-winning dairy products. We’d love to hear your feedback on this easy Asian Chicken Wrap recipe so, please rate and review it when you have a chance. COMBINE all ingredients in blender and blend until smooth. Refrigerate until serving time. COMBINE chicken with about 3 tablespoons dressing in a small bowl. DIVIDE mixture among lettuce leaves. Top each with some of remaining ingredients and roll up to form wraps. 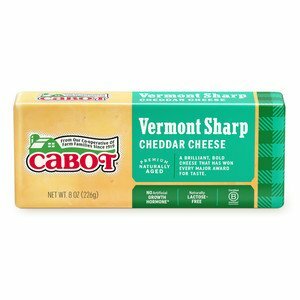 I love Cabot products and this chicken wrap looks so good for lunch today. Thank you for all the healthy recipes as well as delicious cheeses and yogurt. So easy and great summer dinner! Very yummy! The dressing has quite a list of ingredients, but it's worth it. We also forgot the cheese and it didn't make a difference. I highly recommend.